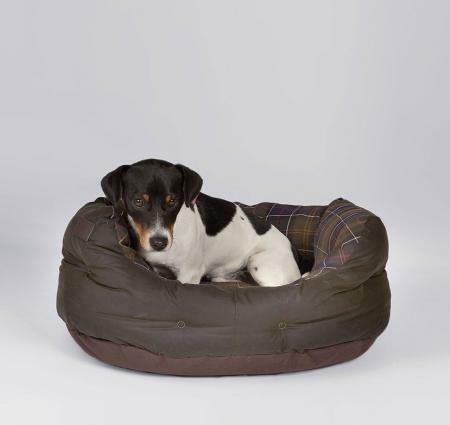 Barbour’s Waxed Cotton Dog Bed 24 inch, is a sumptuous canine slumber bed. The outer is constructed from Barbour’s reliable, durable waxed cotton whilst the lining is soft cotton in a stylish Classic Tartan. Suitable for small dogs such as Dachshunds, Pugs, Scottish Terriers, and Miniature Schnauzers.SALE!